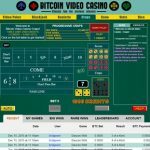 Bitcoin Video Casino features seven of the most popular casino games in online gambling and presents them on a unique, player-friendly interface. 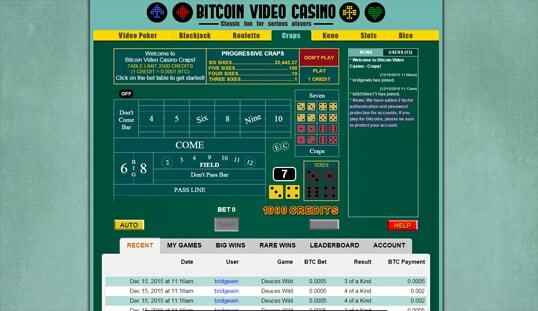 Bitcoin Video Casino is one of the longest-staying Bitcoin gambling platforms in this niche market. It bears a retro design that still wins the heart of Bitcoin bettors, especially those who love playing the all-time casino favorites. This casino started operating back in 2012. It accepts Bitcoin only and presents its platform in English language only. Being one of the pioneers in Bitcoin gambling, this website is currently for sale on the market. 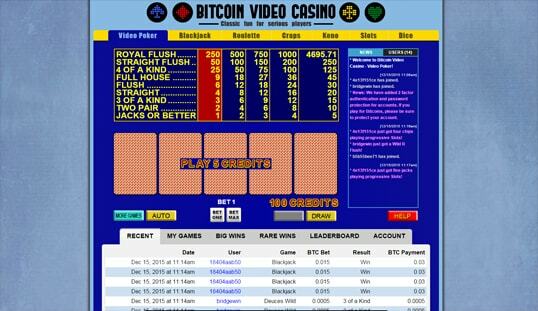 Bitcoin Video Casino offers various casino games, such as Bitcoin slots, blackjack, roulette, dice, video poker, craps, and keno. All of these games are provably fair, so players are assured of authenticity. There is only one game per category, though, so this website features only seven classic games. This, however, does not stop the casino from attracting players; thanks to the games’ focus on the gameplay per se. 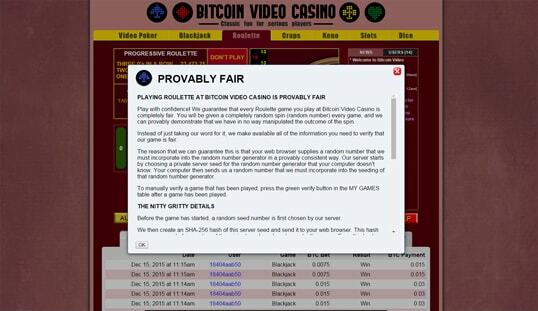 The entire Bitcoin casino runs on proprietary software and offers in-house games. Thus, do not expect to find the game titles from the popular developers nor do the games here match the graphics and design quality of those developed for commercial use. Nevertheless, serious players will find the casino games on board useful and unlike most titles that value aesthetics more than function. Unique visitors are automatically provided with an ID, which will function as the player’s primary identity. This can be manually changed on the Account tab, but the private URL assigned to that account cannot be changed and must not be forgotten since it is the only means to access the account. 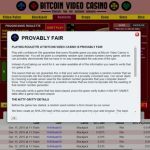 What is great about Bitcoin Video Casino is that it enables the account to be protected by a password and two-factor authentication for security. Depositing bitcoins is processed instantly, so any amount sent to the address posted at the bottom of the screen or to the corresponding QR code will be reflected in the account balance right away. Withdrawals, on the other hand, will require the previous deposits to go through at least two confirmations before they get processed. The longest time this can take is 20 minutes, so withdrawals should be quick nonetheless, but keep in mind the 0.0001 BTC transaction fee for every cashout. In addition, players have the option to assign a fixed withdrawal address instead of inputting the same Bitcoin address. Bitcoin Video Casino has an Android app that can be installed on your gadgets. However, it does not offer all the games on the site, except video poker and blackjack. Players can contact its customer support department either by email or their social media account. There are no other means to receive prompt solutions, so a possible integration of a live chat support in the future would be ideal. 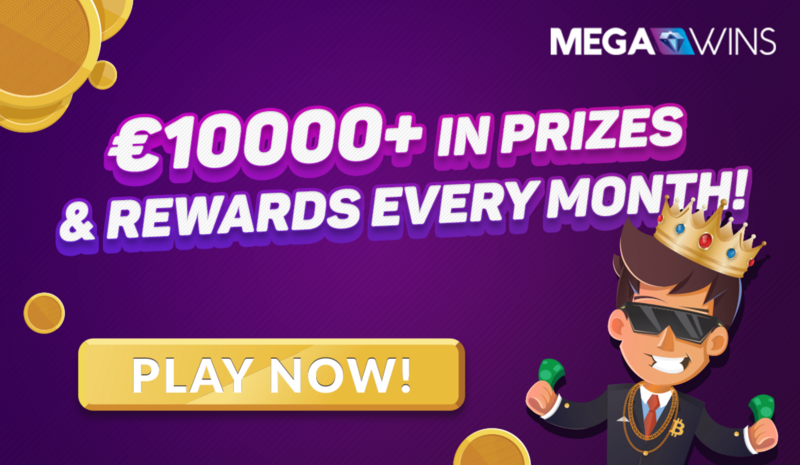 €10000+ in Prizes & VIP Rewards Available Every Month at Megawins!